On Sale Now! 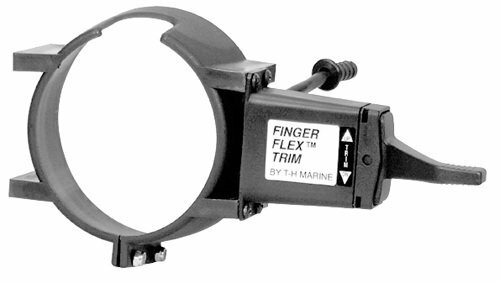 Save 9% on the T-H Marine Supply Finger Flex Trim Control Switch for Hydraulic Helms by T-H Marine Supply at Breezin Thru Charters. SKU: FFTB-1-DP. MPN: FFTB-1-DP. Hurry! Limited time offer. Offer valid only while supplies last. FINGERFLEX TRIM CONTROLFINGERFLEX™Ultimate trim control for hydraulic helms. No wheel removal required. Wrap-around bracket installs in minutes. FINGERFLEX TRIM CONTROLFINGERFLEX™Ultimate trim control for hydraulic helms. No wheel removal required. Wrap-around bracket installs in minutes. PosiClik™ technology for positive touch. Also operates power jack plates. If you have any questions about this product by T-H Marine Supply, contact us by completing and submitting the form below. If you are looking for a specif part number, please include it with your message.